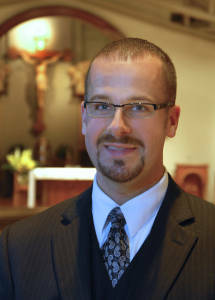 Steve Siemion has been the music minister at Church of the Transfiguration since September 2010. He has a degree in Music Education from Wayne State University and a certification in Pastoral Music. Before coming to Transfiguration his music minister positions included St. Alfred in Taylor, St. Damian in Westland, St. Joseph in Maybee, St. Aloysius in Romulus, and St. Joseph in Irish Hills.